Trump campaign manager Kellyanne Conway was notoriously hesitant on accepting a White House position. She didn’t want to take on a time-consuming job that would keep her from raising her young children. Fortunately, Trump and Conway were able to figure out a role that would allow her to continue working for the incoming administration while still being able to care for her kids. She will serve as Counselor to the President. Conway and her kids will be moving to D.C. after all. However, some schools may not be so thrilled about it. The mother of four is saying the private schools she has reached out to are giving her a cool response. She isn’t letting it bother her though. 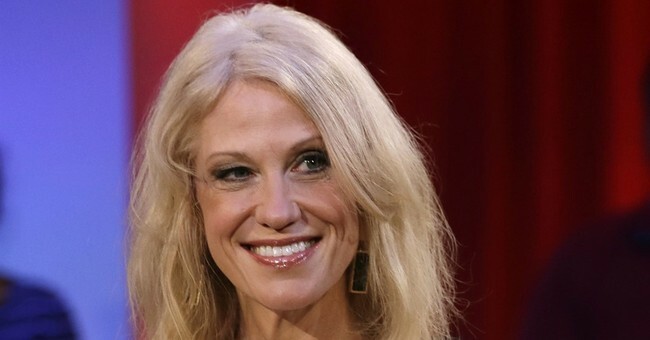 “I would not characterize myself as ‘worried’ so much as amused by the silence and sighs on the other end of the phone when friends and allies have made preliminary inquiries on my behalf,” Conway told the Post while visiting schools in D.C. She also pointed to the double standard of the schools that tout diversity while at the same time not wanting to be associated with different points-of-view. Conway is certainly entering enemy territory. Washington, D.C. has always been a liberal bastion, but the nation’s capital proved to be vehemently anti-Trump. The city voted for Hillary Clinton by almost 91 percent. Despite being given the cold shoulder by the area’s swanky schools, Conway noted she has received a flood of support and help from people on both sides of the aisle as she prepares to move her family.